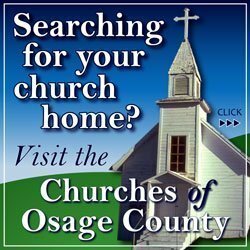 OSAGE CITY, Kan. – Wanda Paxton, 96, passed away on Tuesday, Jan. 29, 2019, at St. Francis Hospital, Topeka, Kan. She was born on Nov. 13, 1922, in Miller, Kan., the daughter of Ira and Helen Hoglund Smith. Wanda grew up around the Miller community and had lived in Osage City, Kan., for many years. After graduating from Miller High School, Wanda worked as a nanny in Virginia. She then worked in the security division of the War Production Board during World War II. 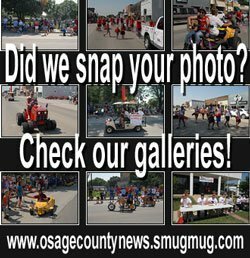 She had worked as a receptionist for the Osage City medical clinic for more than 48 years. She was a member of the Osage United Methodist Church, TOPS, and the Sunshine Club. On Jan. 29, 1945, Wanda was married to Thomas “Gene” Paxton. Wanda was preceded in death by her husband, Gene, in 1968; her parents, Ira and Helen; and two brothers, Alvin “Al” Smith and William “Bill” Smith. Wanda is survived by her two daughters, Patricia “Pat” English, of Lawrence, Kan., and Linda Williams, Vassar, Kan.; two grandchildren, Megan (Mark) English and Kevin Williams; and two great-grandchildren, Leah Williams and Ethan Williams. Memorial services will be at 1 p.m. Saturday, Feb. 2, at the Osage City United Methodist Church, 219 S. Sixth St., Osage City. The family will receive friends one hour prior to service at the church. 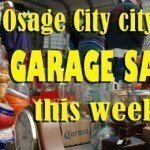 Inurnment will be in the Osage City Cemetery at a later date. Memorial contributions may be made to the Parkinson’s Foundation, sent in care of Feltner Funeral Home, 818 Topeka Ave., Lyndon, KS 66451. Online condolences may be left at feltnerfuneralhome.com.